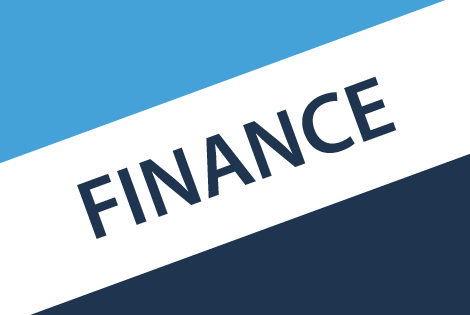 Let’s be frank about it – Finance is one of the most difficult subjects that you will choose a career in! Still, there are students just like you, who choose Finance as their career option and for higher studies, owing to the fact that it fetches great career opportunities. While studying Finance, you will have to come across several assignments and projects as well as have to complete homework on various topics. This can really get on your nerves as there will be the pressure of preparing yourself for the examination and the heavy burden of an elaborate syllabus. Doing Finance assignments in such a situation can really be annoying. That is why; you need to make sure that your assignment solving experience is really an enjoyable one. From mathematical problems to real life situations, there are several types and kinds of projects or assignments that you might have to complete, based on any of these topics. Now that you have known about the topics that are most widely used in the financial assignments, it is a must that you know why you are actually doing these projects! Most of the students pursuing an academic career in Finance and Accounting do not realize the purpose behind these projects and assignments that they have to do. However, the fact is that Finance is directly connected with the management, marketing and operation of a business. Hence, in order to be a successful Finance Manager in any of the corporate sectors, you must take these projects seriously. From small scale to large scale, every business makes investments on various short-term and long-term assets such as stocks, bonds and other marketable securities. Their aim is to gain more profit from these investments. This is a very crucial area of discussion in the projects that you do. This is a very big area in which business payments, productions and cost and all other finance related issues have to be discussed. I personally find this a very intriguing area as excelling in different business finance areas opens a lot of scope for a bright career ahead. This is yet another very crucial sector that the students face most difficulty in. Commodities, trade financial securities, etc. are classified and discussed in this section. Hence, knowing the ways that will help you to complete them faster is a great comfort. Here are a few tips that will certainly help you! This is something that is really helpful. Whether you are solving a problem or if you are writing a dissertation, doing that on your computer will save you a lot of time. There are tools that can help you to solve your finance-based problems faster than ever. Moreover, if you are like me, even typing would be faster than writing. I have seen many students, who are more comfortable in typing than writing. If you are one of them, make use of this talent! See, the purpose is to gain as much of scores through your assignments as you can. And for that, you must make your project look as appealing and pleasurable to the eyes as possible. The pictorial depiction of the diagrams can help you with that. Instead of writing down the diagrams in words and explain them for a better understanding, directly make a pictorial diagram. This certainly bears more scores. Diagrams can minimize the time for writing long, elaborate papers. It will save you a lot of time. You must know about the various finance tools that are available online, right? We all use these tools for managing our personal finances and financial decisions. There are many other corporate finance tools that you can take help from, in order to make your problem solving easy and comfortable. These tools help you in making decisions and calculate your finance problems. This is probably the most useful method of having your Finance-related assignments done efficiently and that too within the deadline. There are expert academicians, who provide academic help and solutions to the students. You can get in touch with them and have your assignment done by them. The best part of their service is that they follow the exact flow of writing that you usually follow in your assignments. Students can easily provide them with the project details and the writing style details that they are looking for. When you run out of time or have to complete other tasks or have an ensuing examination to prepare yourself, you can easily take help from them. What I personally like about these professional homework help services is that they discuss any given problem with such details that you can be benefited with this project eve for future references, while preparing for an exam or while studying a chapter. This will certainly eliminate the need to rush to tutors. After every single class, the teachers or instructors give you some time to clear your doubts or ask for your queries. Do not waste this time. Go to your teacher and ask for ideas and references that will help you in completing your task better and faster! Now that you have known about the areas that might cause you trouble or the areas that you need to be careful about, you should follow these tips. These will help you in scoring well in your projects and impress your instructors.